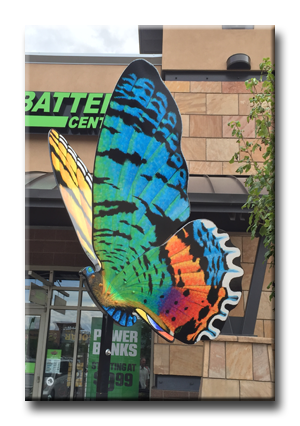 Located on the corner of the north entrance of the shopping center near Trader Joe's. 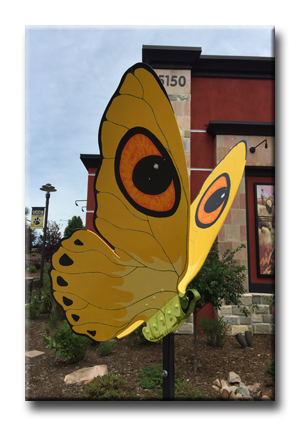 UVC has installed various art and sculptures within the shopping center for community viewing and pleasure. 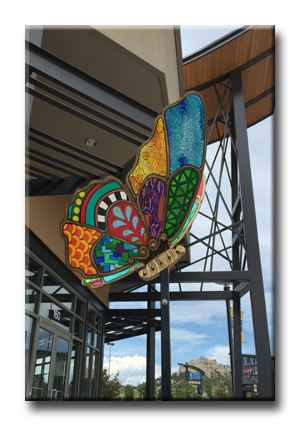 Here you will see photos of that art along with any information regarding the art and/or artist as available. 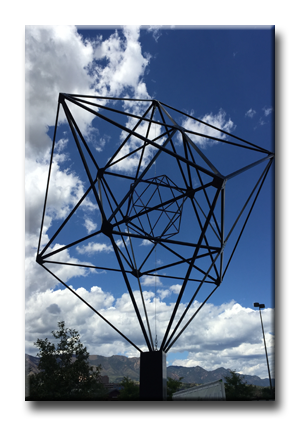 ""Metatron's Cube" contains three Platonic Solids (a cube, two intersecting tetrahedrons, and an octahedron), as well as a fourth (an icosahedron) suspended in the center. 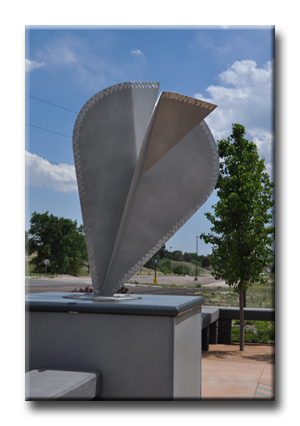 It is believed that Plato viewed geometric forms as an intermediary realm between the physical and spiritual. "Sacred Geometry" is shared by many "New Age" enthusiasts and this specific form is said to have to come from people channeling "Archangel Metatron" and that it functions much like an antennae, transmitting and receiving healing and guidance. 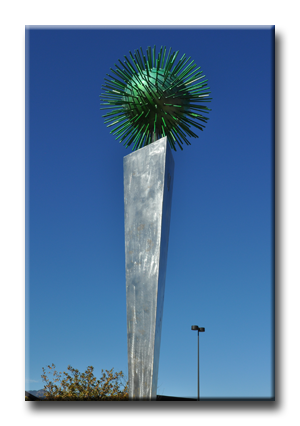 I love the notion that this piece is, in any way, a tool of some sort for "raising human consciousness" or "healing" (in addition to being an interesting sculptural form). Who knows, right? Ideally, it will serve as Metatron's landing pad/portal." 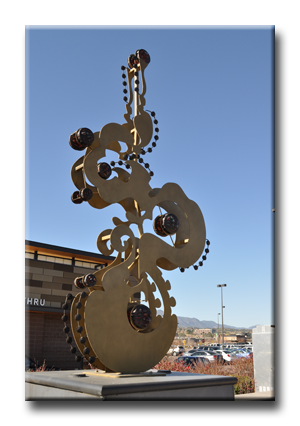 This 15' piece is a reflection of the relationship between the musician, the music and the dancer. 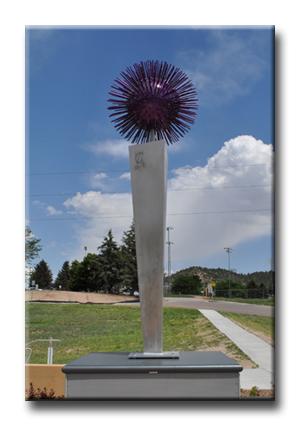 It is constructed of plasma cut steel, hand forged steel elements and hand blown glass. 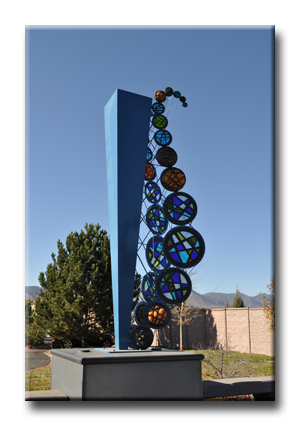 This piece reflects a feeling of freedom, inspired by the feeling of being on a sailboat, the strong pillar or mast supports the free flowing sail as it catches the wind and in the case of the sculpture, also the light through the many blown and stained glass elements. 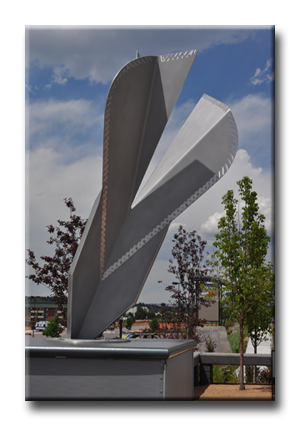 The above works of art were purchased and placed at the intersection of the main entrance of the shopping center. 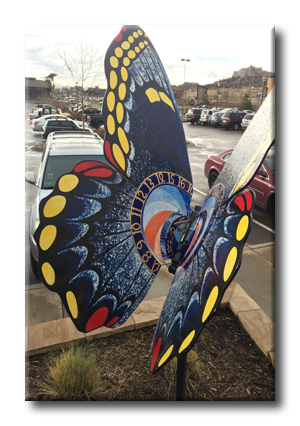 The above butterflies were purchased in support of "Flight Lite" for the Rotary Club of Colorado Springs.